“I believe,” Brandmüller adds, “that Cardinal Burke is convinced that a fraternal correction must in the first instance be made in camera caritatis”. In other words not publicly. “I must say,” he explained, “that the cardinal has expressed his own opinion in complete independence and may of course be shared by the other cardinals too”. Brandmüller thus leads us to believe that in the interviews following the publication of the “dubia”, Burke was not speaking as a spokesman for the four cardinals who signed the document. Does Cardinal Brandmüller really “believe” that Cardinal Burke “is convinced that a fraternal correction must in the first instance be made in camera caritatis,” or is he using the media (see previous post) to subtly suggest that his brother cardinal should be so convinced? Whatever the case may be, why doesn’t Cardinal Brandmüller know for certain what Cardinal Burke envisions with respect to the formal act of correction that the entire world now eagerly awaits? Did they not discuss this at length even prior to embarking on this journey? After all, there are only four cardinals whose names are affixed to the dubia. Are they not sufficiently on the same page that any one of them may act as a “spokesman” for the others? Even so, what we’re witnessing in these interviews taken as a whole doesn’t exactly inspire confidence in the authors of said dubia moving forward. Specifically, we have to wonder if they even have a “game plan” for ridding the Church of Francis should he fail to convert to the Catholic faith. Oh, well, let’s not get too far ahead of ourselves. This statement appears to be causing a stir given the fact that the scandal invited by Amoris Laetitia is of a public nature. As I read this statement, I think it is reasonable to conclude that Burke does indeed envision that the correction will be made, in the first instance, privately, just as the dubia was initially submitted to Francis privately. If this is to be the model moving forward, it would seem that we can well expect that the formal act of correction will likewise be made public only after it is initially made privately; that is, if indeed Francis refuses to defend the true doctrine with which he is confronted. If this be the case, clearly the cardinals should then issue a formal declaration informing the entire Church of Francis’ loss of office, “so that all might be able to be equally on guard in relation to him” (cf Fr. Pietro Ballerini), and then go about making formal arrangements for a conclave to replace him. The million dollar question is whether or not any of the cardinal-authors of the dubia have the wherewithal to so press forward. If Cardinal Brandmüller’s recent comments are any indication, it’s anyone’s guess. Obviously, if in light of the formal act of correction Francis still refuses to embrace the dogmatic teachings reiterated in the dubia “as based on Sacred Scripture and the Tradition of the Church,” he would thus be declaring himself all the more loudly and clearly to be a heretic, a promoter of schism, and therefore an anti-pope. The matters under discussion in the dubia allow for absolutely, positively, no “debate” whatsoever. That’s the point! First, there is no reason to expect Francis to offer anything more in the way of a response than he already has. Rather, all we can reasonably expect from him is more “positive silence” (i.e., snide comments offered in homilies, audiences, and media interviews). No, it wouldn’t just be seen as such; it most certainly would be a rejection of defined doctrine! Jousting in the media over such grave matters as those addressed in the dubia is unbecoming a churchman; it necessarily invites contradictions and mixed messages that ultimately serve as the enemy of clarity. These cardinals would do well to exercise some “positive silence” of their own until such time as they are prepared to speak formally in the name of the Church. If nothing else is clear, it would seem that the four cardinal-authors of the dubia, at the very least, lack coherence. As such, one shouldn’t put too much stock in what any one of them happens to say in any a given interview. That said, based on their public commentary thus far, one would be hard pressed to feel confident that the cardinals do indeed have the wherewithal to press forward as they ought. Forgive the gloomy forecast, folks, but seriously, does anyone really think it more likely that they will move forward with a declaration of formal heresy and the calling of a new conclave? I don’t, not at this point, anyway. May it please God for me to be proven dead wrong, and soon. There was no point in issuing the Dubia in the first instance if these four Cardinals didn’t intend to go the whole way. They will be viewed as ‘scaredy-cats’ & the vacuum will either be filled by others or leave the way open for a great schism. They must surely recognise this & have made provision for that situation not to occur. It is quite evident to the average Catholic who has been besmirched by PF & Cronies now for well over three years, whose countries have been invaded by invitation of this Pontiff & the native peoples raped & killed by IS infiltrators with no rebuke, that this pope is not interested in them or the CC (Leonardo Boff) but gives preference to conserving the evironment. What has become a public scandal should not be hidden but transparently addressed by those consecrated to do so. Fr. Tom Uzhunnalil & Asia Bibi are still captive under extremely cruel conditions yet no word from the Vatican & obviously no background intervention either. Their pc approach is revolting. The dubia never accused Bergoglio of heresy and only asked for clarification; Cardinal Burke made this clear. Cardinal Burke, et al., certainly weren’t questioning anything that hadn’t already been seriously (and publicly) questioned at length by the Trad Catholic Press and numerous Catholics including some well known theologians. They didn’t break new ground or do it first. The only significant difference was that they were members of the College of Cardinals. I seriously doubt that Burke, et al., had any illusions of a successful end game (that is, Bergoglio recanting and “Amoris Laetitia” being corrected or rescinded). Since 1958 the heretic popes (one and all of them) have filled the dioceses and college of cardinals with modernists and progressivists (read: heretics). The vast majority of Catholics know nothing but the Novus Ordo heresy and having been raised in a heretic Church for the last 60 years; that is, they see heretical actions of the pope as modern wisdom. These facts would not have been lost on Burke, et al., so I doubt they would have expected the faithful or the College of Cardinals to come to their defense. So, why did Burke, et al. do this? I haven’t a clue. And since their method was never designed to move Bergoglio back towards orthodoxy its hard to know whether their actions are courageous, cowardly or stupidity. There are six Bishops that sense there is something wrong with AL. 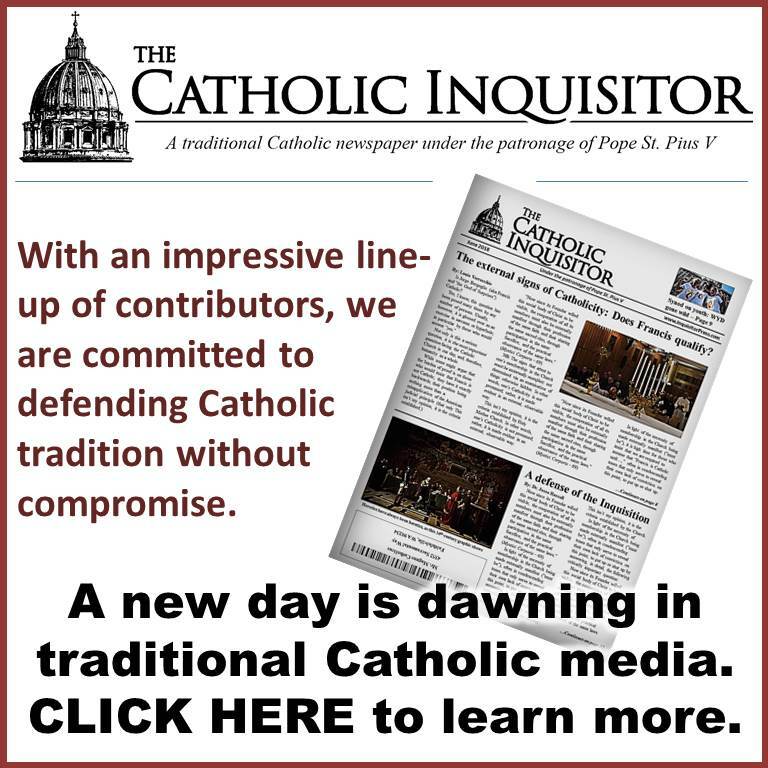 Will these same Bishops criticize Vatican II and the new mass? No. So what’s the point? Good luck arranging a time and place to deliver that “in camera caritatis” to Francis. Like the magicians he will disappear or levitate away. As usual Ana you put it better than I could. We are certainly assuming the Cardinals knew in advance what could happen and prepared for it. We’ve all had ample time to see what kind of man Bergolio is, and not assume he would do the right thing. Every indication has been his pride is his predominant character trait and redacting his heresies, not likely. He is going to be more angry and vengeful. If the Cardinals do not act with clarity and determination, providing not only a known formal correction and a path to schism if it should come to it, they will leave us worse off than before. Men shouldn’t faint at the word schism. If it comes to it so be it. I can take schism a lot better than I can this rogue church that no longer makes sense and would not only fill my nation with enemy combatants but send souls to Hell. I think that if a schism comes, it is not those of us faithful to the Magisterium who will leave, it is those who adhere to already condemned heresies who will then constitute the fallen away. I fully agree that these consecrated men should not fear schism for they will not cause it to happen. Of course- in my personal opinion- the schism in the Church happened at Vatican II. Hmm, just watched Rome Reports, seems Jorge (aka Francis )and a magician make a table float in mid air…..something demonic going on Prehaps. Quite honestly I’m so weary with all of this …the man is a usurper not a canonically elected Pope. Benedict XVI is the Pope. Dubia schmubia…..what part of non canonically elected Pope don’t we get. I realize correction concerning Amoris Garbagia is necessary for the faithful , I also think Pope Benedict XVI could use some correcting as well. Until the Princes of the Church accept that VII is a demonically inspired debaucle perpetrated on the Faithful we will continue to ride on this nauseating merry go round. Traditionalist are wise to not get their hopes up with the AL uproar. AL is the logical product of modernism and V2. It is also a fruit of the novus ordo. Until someone issues a dubia in regards to the heresies of V2, I recommend paying no attention to this modernist drama. Can the magician make Jorge disappear?? I’m just going to throw this out there but what if Bergoglio wants schism? He’s clearly on a mission to revolutionize the Church. He’s recently stated that he may be the one to split it. And he continues his criticism of rigidity and warns against moralistic and doctrinaire teaching. So wouldn’t schism most likely clear the way for Bergoglio to make even more “substantive” changes to the Church? Revolutionary changes that extend much further than those of Amoris Laetitia? And wouldn’t schism mean that Bergoglio and his sycophants retain the Vatican and its holdings as well as media? And wouldn’t the splinter group be cast as the alt-right of the Catholic Church, the “ultra conservatives,” and faced with censorship and derision? Like others, I believe the four cardinals of the Dubia hold the moral high ground. But Bergoglio has been recruiting his army since his installation. They are salty. And although Jorge talks collegiality, he fights dirty. I believe it’s guerrilla warfare. There are estimated to be 1.2 billion Catholics in the world. If schism were to occur, and it looks possible, how would the numbers break down between the Bergoglio faction and the splinter group(s)? My guess is that Bergoglio believes the vast majority would follow him and his cult of personality as the “feel good” church. And I think we can assume that those who do not follow Bergoglio are not members he wants in his church anyway. Too rigid, not making enough of a mess, too much faith, not enough doubts. Controversial? Yes, but I fear his exhortations to ‘Do what thou wilt, I’ve got your back’ will attract more to his cause than will tradition. Given the horrendous state of catechesis in the Catholic Church- especially in the West- yes, it is most likely that all the Novus Ordo Catholics would stay with Francis and his ilk. I’m with you, James. When I read his comment about being the one to split the Church, it had a ring of pride to me. Bergoglio idolizes Martin Luther. I believe it’s his goal to be a sort of M.L. of our times with one big difference – he remains within the Church to destroy it. He doesn’t actually remain in the Church. All who profess heresy automatically lose their membership by Divine Law. Thanks again, Louie. You so often enunciate what is on my mind and in my heart. There is no spin done here to the facts and the logical conclusions as of now. I too agree with the notion that speaking to the media does the Church no good. We have our own means of communication. I might interject the possibility that some of the Vatican personalities got to the Cardinal to cool down the movement. It is nuts, but now we have dubium of the effect of the “Dubia”. I agree that the process should have been well thought out, discussed, and agreed upon. A few other cardinals and bishops have moved in the direction of a response. The vast majority for whatever reasons are silent. Certainly, the Christmas message to the Curia sent the message and set the tone. Principle #1 is that what we have here is not primarily a theological confrontation, but a political one. Obviously, it is not the dogma that has the upper ground but the numbers. The cardinals are using theology, and the Pope is using politics to win. One thing is certain. This dye has been cast. From here on, there will be no going back. Destiny has taken over. Either he concedes on these points of the Dubia or the (c)hurch will split in two. With each new event and statement, it becomes clear that we are heading in that direction. What we need is a council not a conclave to offset that possibye inevitable disaster. And I say to thee: That thou art Peter; and upon this rock I will build my church, and the gates of hell shall not prevail against it. Surely, this never referred to the Vatican Church Administration, because clearly Satan has prevailed there. Does the Novus Ordo Church possess the necessary Four Marks of the Catholic Church? If not, then it is a counterfeit religion. Our Lord warned against being deceived. Against my better judgement I’ll force myself to remain hopeful that these four cardinals are actually of good will and really are sincere in their efforts to wipe out AL and declare Francis the heretic that he is. I will add, as I have a few times since this “dubia” was issued, that the silence of Bp Fellay is troubling to say the very least. The bottom line as always though is this: if the tenets of V2 remain (whether or not you believe they are “binding” or “pastoral”isnt even the issue…..the issue is that almost all Catholics today BELIEVE that they ARE part of infallible Church teaching….as do I, IF the v2 were Catholic, which it isnt), then this “dubia” is really just nothing more than shoveling sand against the tide. AL is the tiniest tip of the iceberg. WAY before AL or Francis were around evil was being done every single day among Catholics with the “blessing” of the V2 church. Getting rid of AL wont change that, but I guess it would be better than nothing. The American bishops have voted more than once to approve “Catholics in Political Life,” in which they give themselves permission to commit the mortal sin of giving Communion to pro-abortion politicians. In other words, the heresies taught in AL, which are the subject of the Five Dubia, have been practiced by the vast majority of American bishops for more than forty years, and formally endorsed by them, in “Catholics in Political Life,” for more than ten years. The bishops who have been the loudest proponents of this mortal sin–Wuerl, Cupich, McElroy–have been the most favored by Bergoglio. I am most depressed that cannot disagree with you. The Cardinal authors of the dubia rely upon Pope St. John Paul II to vindicate the perennial teachings of the Church FOR THE SAKE OF CHURCH UNITY !!??!! This really is a “you can’t make this stuff up” time as reality often is stranger than fiction. Who is Pope St. John Paul II? 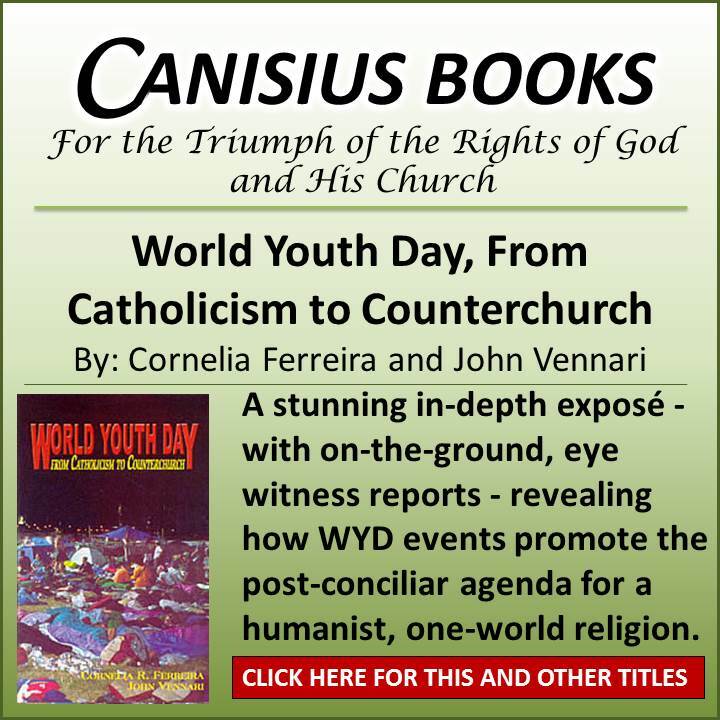 As most readers of this blog are well aware due to the efforts of Mr. V he is the prelate who effectively denied a mark of the Church – that it is one – by continually teaching that unity of Our Lord’s Church has not yet been achieved. At the same time, he also surprisingly maintained that our “separated brethren” were in some way still in partial communion with the Catholic Church. This “teaching” clearly contradicted the teaching of other Popes. 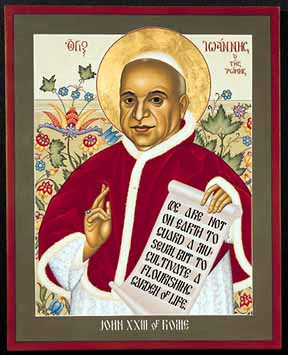 Perhaps the most monstrous collection of Pope John Paul II’s novelties regarding the nature of the Church can be found in the Principle and Norms on Ecumenism, a guide that was issued during his pontificate to guide ecumenical activities. I believe that viewed from this perspective the dubia are a half-measure that seeks to vindicate a moral teaching of the Church while ignoring the more fundamental attacks on the nature of the Church perpetrated by Pope Francis’ conciliar papal predecessors. Until the faithful demand that ALL of the perennial teachings of the Church be at all times defended by the hierarchy not much progress will be made in restoration of Our Lord’s Church. A good start would be for the Cardinals not to rely on a Pope to vindicate the perennial teachings of the Church when that selfsame Pope contradicted other perennial teachings of the Church. It’s funny how Pope St John Paul II The Great is held up as some insurmountable bulwark against the gates of hell prevailing, when he was probably the most astonishing and spectacular ecumenical apostate of all the Vatican II line of…ummm….popes. If some guy like me can easily read all about it online, why, why, why cannot people much higher up see it? The major premise of sedevacantism is that a manifest heretic cannot be Pope. St. Gregory VII – “We and you must show in a special way to the other nations an example of this charity, for we believe and confess one God, although in different ways, and praise and worship Him daily as the creator of all ages and the ruler of this world” (Letter to Anzir, King of Mauritania)? Vigilus – “The Three Chapters” which he approved and condemned at the II Council of Constantinople. St. Zosimus – demanded that the bishops of Carthage receive two Pelagian heretics that had been condemned by Pope St. Innocent I. St. Innocent I condemned the Pelagian view, but then Zosimus tried to force people to receive heretics. Pius XII, Mystici Corporis Christi: “We ask each and every one of them to correspond to the interior movements of grace, and to seek to withdraw from that state in which they cannot be sure of their salvation. For even though by an unconscious desire and longing they have a certain relationship with the Mystical Body of the Redeemer, they still remain deprived of those many heavenly gifts and helps which can only be enjoyed in the Catholic Church” (103). The Papal Subject, do you reject them all as non-popes, or will you admit that a manifest heretic can be Pope? If those Popes you mentioned were heretics, then they too would have lost their office according to the premise you assigned to sedevacantism. Michael65, I am following this question and the subsequent discussion in a thread you began over at Suscipe Domine. Michael Wilson and Nazianzen have given your question an adequate response. 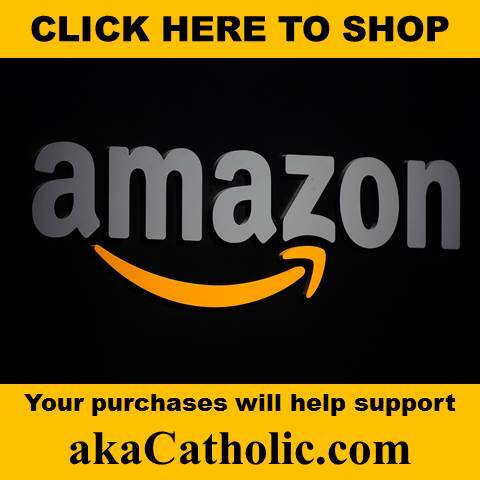 Are you desperate to have the errors of Vatican II, the evil Novus Ordo Missae and the almost UNIVERSAL APOSTASY which was caused by it, and still say that the Catholic Church can give us these things, at all costs? If that’s the treacharous, dangerous and unreliable religion you adhere to, what’s the bloody point of having a pope as the head at all? Who are you working for, pal? 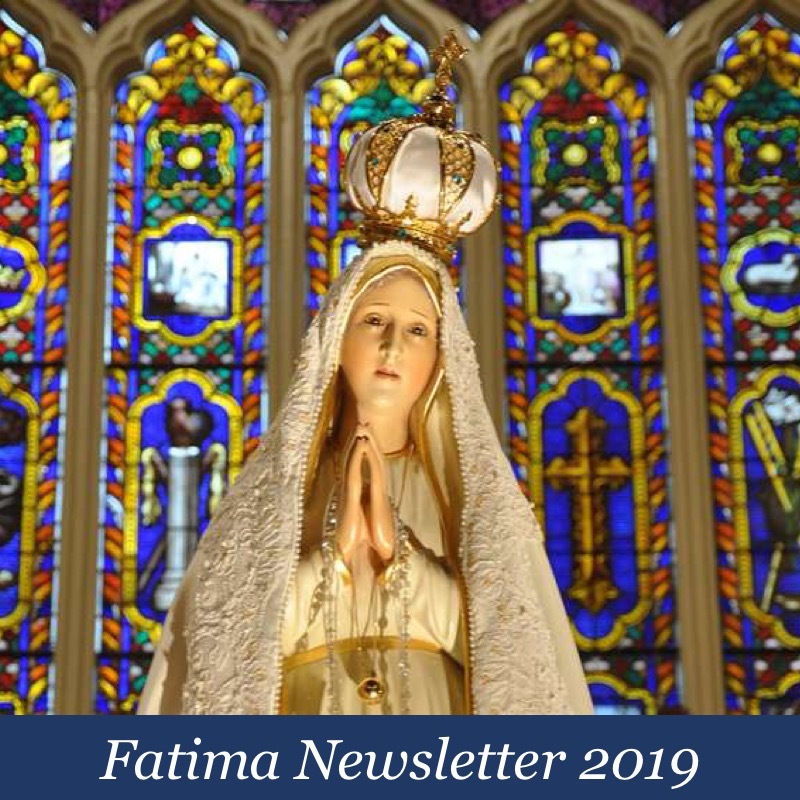 “Forgive the gloomy forecast, folks, but seriously, does anyone really think it more likely that they will move forward with a declaration of formal heresy and the calling of a new conclave”? Well, declaring formal heresy, and calling for a new conclave is putting the cart before the horse, IMO. Firstly, the Pope must be given an opportunity to be willing to be corrected for his errors. That’s why the Cardinals have asked for a clarification. It gives the Pope a chance to both elucidate his views, and make them clear. The cardinals have to find out exactly, in an official manner, what he exactly espouses as heresy. The Church has to be very careful on this point. As annoying as this is, it’s the way of the Church. The problem being, of course, that Francis doesn’t want to clearly spell out in an official manner, what his heretical views are. He uses the Modernist method, which is to proclaim something heretical in an unofficial manner, which allows it to be practiced by members of the church, until such a time that it becomes common practice. 1) That the heresy is not hidden, and be publically and legally notorious. John of St Thomas is not an authoritative source. His opinion is merely that of a theologian. Who’s going to decide which group of Cardinals are “The Church” if and when a declaration by “The Church” that the See is vacant is made? 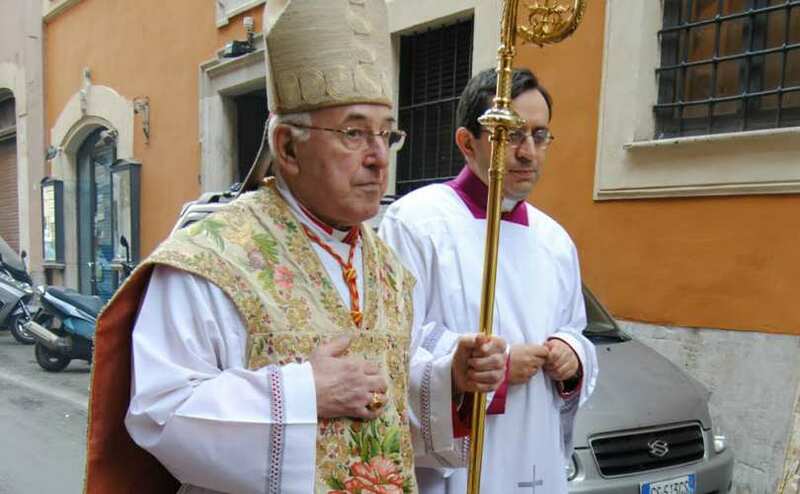 Who is going to say that this bunch of modernists who support Amoris, and therefore Francis is still the pope, are wrong, and the “goodies” – Burke’s Four, are right? This business that says the declaration that the chair is vacant can only happen when “The Church” says so, and not ipso facto by Divine Law per St Bellarmine is not practical. Heretics automatically lose their membership in the Church without exception, and without any declaration. The Akita prophecy clearly indicates schism so there will ultimately be a huge showdown, and expect that in 2017, no later than the 100th anniversary of Fatima.